The Pyramid Club is a nightclub in the East Village in New York City. 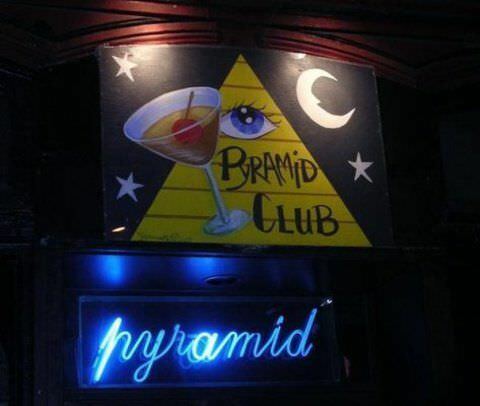 The Pyramid Club opened in 1979 and is known for defining the East Village drag and gay scenes in the 1980s. The Pyramid Club can be found at 101 Avenue A. In 2007, it was proposed that the Pyramid Club should be landmarked as it had such a large impact on drag culture during this time period. During the 80s, there was an abundance of culture and experimentalism found here. Pyramid was the place to be if you wanted to get weird.